Chris Stewart, a republican from Utah, was recently appointed Chair of the House subcommittee on Environment. "all matters relating to environmental research; Environmental Protection Agency research and development; environmental standards; climate change research and development; the National Oceanic and Atmospheric Administration, including all activities related to weather, weather services, climate, the atmosphere, marine fisheries, and oceanic research;…"
Unfortunately for the EPA, NOAA, and anyone worried about climate change, Chris Stewart is a climate science denier. Mr. Stewart believes there is "insufficient science" to determine if climate change is caused by humans. He believes this in spite of the fact that the EPA, NOAA, and all experts in the field (which he now oversees), disagrees with him. For the record, Chris Stewart has no advanced degrees in science. However, before running for congress he was owner and CEO of Shipley Group, a company that trains government workers on environmental issues. Shipley Group actually runs a training on climate change science, and according to the Shipley Group website "Upon completion of the workshop, participants will be able to understand basic climate change science." Clearly Mr. Stewart has never taken his company's training. 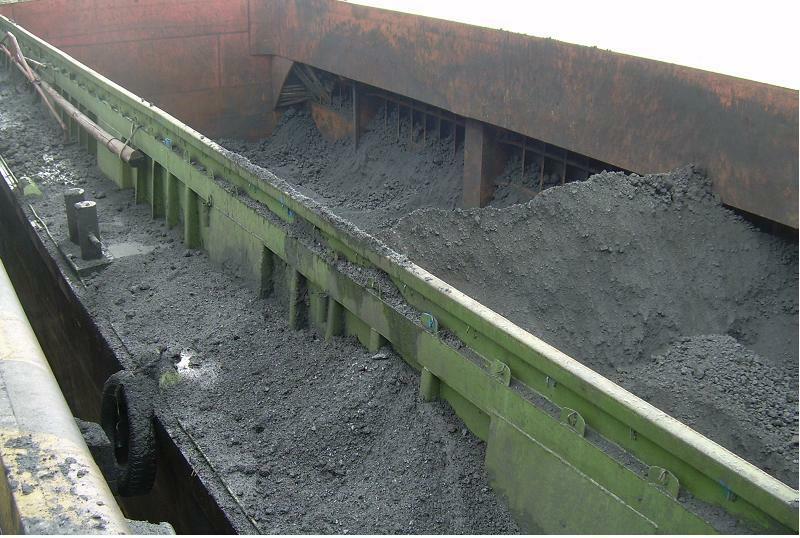 "I am the CEO of a company that works extensively with independent energy producers. I understand how difficult it is to get a drilling permit on federal lands. It is painfully slow, incoherently arbitrary, and always expensive." "The fact that fossil energy and mining are viewed by political "elites" with disfavor, a view driven by acolytes of radical environmentalism, has resulted in damaging laws and regulation and general neglect"
Unsurprisingly, the fossil fuel industry does not ignore Chris Stewart either. One of Stewart's books (which were published and praised by Glenn Beck), is recommended reading at Koch Industries. Stewart received the maximum possible campaign contribution from ExxonMobil and Koch Industries during his last campaign. He also received considerable support from several Koch and Exxon funded SuperPACs. All told, he received more funding from dirty energy companies and their superPACs than any other single source. See Chris Stewart's PolluterWatch profile for more information. 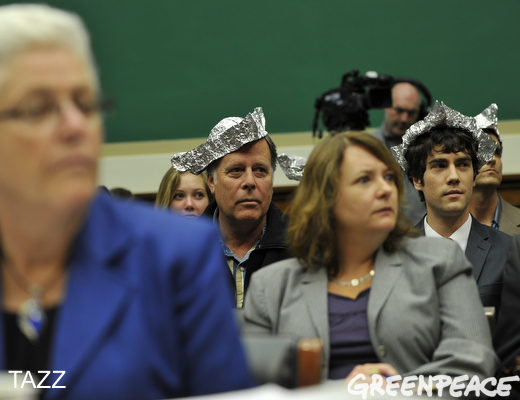 Last week, six Greenpeace activists attended a U.S. House Energy & Power Subcommittee hearing on President Obama's climate change action plan. 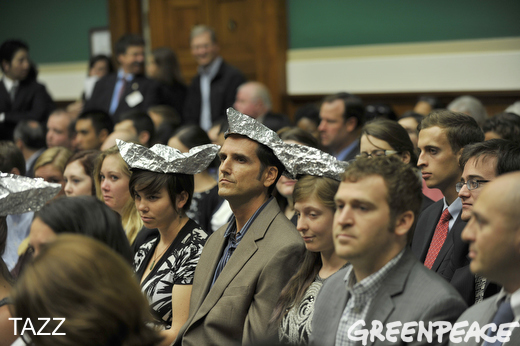 We stood out--we wore tin foil hats to highlight the insanity of denying global warming, as some members of Congress continue to do here in 2013. 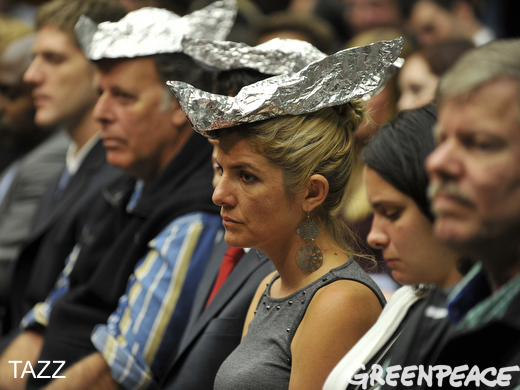 The U.S. public is increasingly wising up to the reality of global warming. We're being hit by more and more multi-billion dollar climate & weather disasters like hurricane Sandy, the recent Great Plains heat waves and (most likely) ongoing "unprecedented" flooding in Colorado--disasters pushed beyond their natural variability by the changing conditions of our new climate. The latest science tells us to expect more of this, and to expect things to get worse. 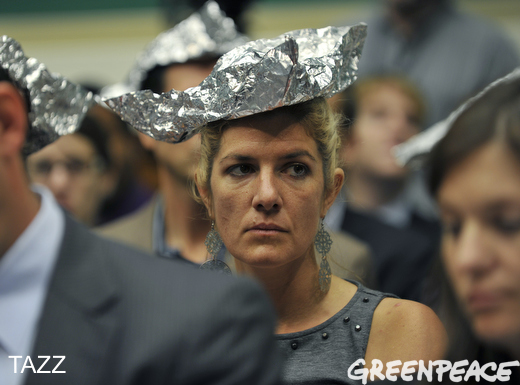 The people who are paid to professionally deny climate change need to be continually exposed. The politicians who prioritize their fossil fuel donors over their constitutents need to be exposed. 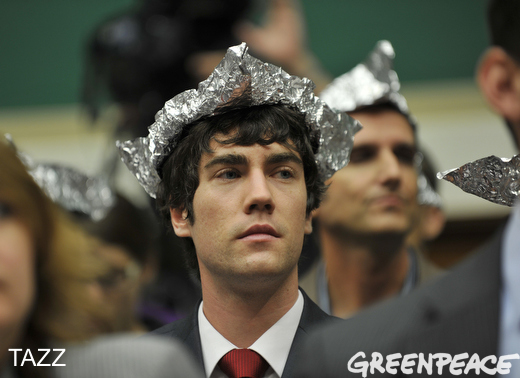 The tin foil hats were one portion of Greenpeace's ongoing effort to hold climate deniers accountable for their wildly irresponsible behavior. Stay tuned for more. 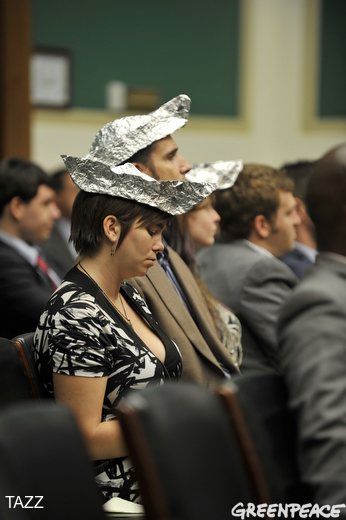 More coverage of the tinfoil hat hearing can be found on MSNBC's The Ed Show, the National Journal, the Atlantic Wire, Climate Progress and Buzzfeed. Representative Chris Stewart (R-UT) is the chair of the subcommittee on the environment, the congressional group in charge of the EPA, climate change research, and “all activities related to climate.” It is therefore extremely troubling that Stewart denies the basic findings of climate science. Stewart has said that he is “not convinced” that climate change is a threat, despite the fact that the EPA, NOAA, and all of the climate science and scientists that he now oversees, disagree with him. 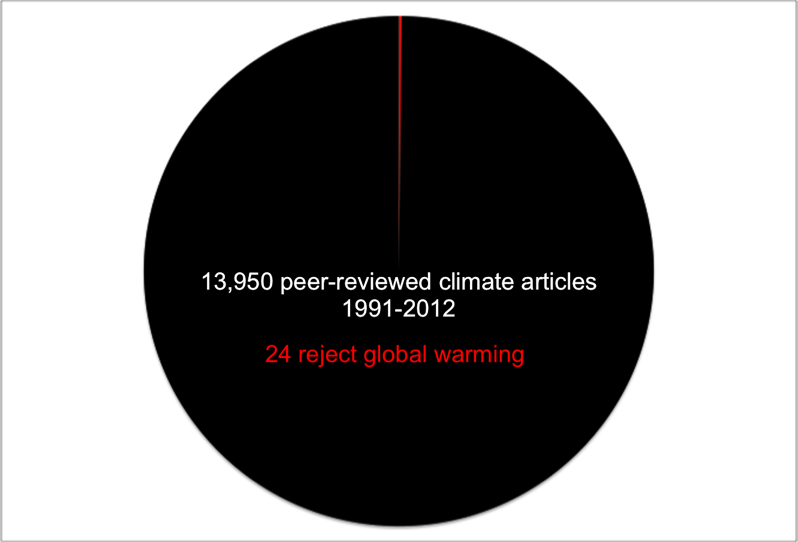 In fact 98% of actual climate scientists disagree with his views on climate science. At a recent town hall meeting, a group of activists confronted Stewart on his ill-informed views on climate science. 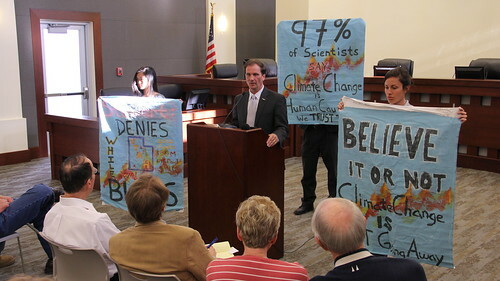 The activists, working with the group Forecast the Facts, presented Stewart with a 17,000 signature petition demanding “the Chairman of the Science Committee's Subcommittee on Environment stop using his seat to promote climate denialism.” They also held up banners reading “Believe It Or Not Climate Change Is Not Going Away,” “97% of Say Climate Change is Human Caused. We Trust Them,” and “Stewart Denies While Utah Burns." The group of activists included high school student Sara Ma. "Many people think climate change is a future problem for my generation to solve later, but it’s not. The data shows that it is here, it's happening and it has a cost," said Ma, a 17-year-old senior at West High School. Utahns are particularly upset by Stewart’s ignorance on climate issues due to the record wildfire season they endured last year. Wildfires did over $50 million dollars in damage to Utah in 2012. Stewart's climate denial is made more suspicious by his close ties to carbon polluting industries. His brother and campaign manager, Tim Stewart, is a Washington, DC lobbyist for fossil fuel corporations. In addition, he has received more campaign donations from oil and gas companies than any other single source.